Given our social division’s combined experience of working with clients, and using our personal social media each day, we are confident in the skills, tips, and tricks we have learned. 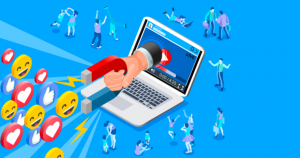 We have compiled a list of the most important tips we have discovered through our time becoming familiar with the many facets of what it takes to achieve a great social media presence. Content managing software will help sort the different accounts and posts that you and your team will be putting together. If multiple people are creating social posts and create a large amount of content within a few hours, you’ll find yourself with an excessive amount of things you will need to organize, which can become very cluttered. The main reason for this software, however, is to be able schedule all of these posts in advance. There are still a handful of social platforms that do not allow you to schedule your posts. Our social team has experience with a myriad of different content management and scheduling software. Using these systems, content can be produced, scheduled, and published all from a third party platform. When choosing your brand’s platform, be sure that the one you choose is multi-user friendly so that several members from your team can produce and collaborate on content. A paradoxical rule, we know. Post regularly means everyday or every other day, however, posting 3 or 4 times a day may cause viewers to unfollow or “mute” your account in order to stop seeing your posts. A common mistake our social team encounters is a company misinterpreting the importance of a social presence and assuming more is better. In fact, a study from the content managing software, CoSchedule, shares some numbers that depict this. The study shows that companies that posted only once or twice a day receive a higher engagement rate than those that posted more frequently per day. Creating graphics can be subjective because not everyone has the capabilities to do so. While our social division is equipped with skilled designers, there are several free websites, such as Canva, that offer users templates that can take their imagery to the next level. Creating custom graphics that are synonymous with your brand is vital because of how visual a society we have become. Do you have a message you want to share on behalf of your company? Make a graphic surrounding the message. Often, dense topics are much easier for audiences to swallow when they are visual rather than solely text. A general rule of thumb is that if you’re unsure about a design, keep it simple. You’ll see a great example of this rule at the end of this post. To close this piece, we have added a Call to Action, which encourages viewers to take an immediate action. 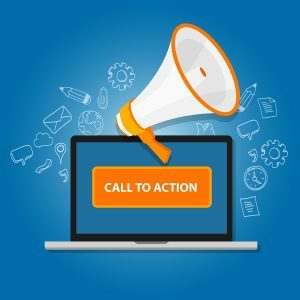 Rather than reading a post and simply clicking to another page when finished, a Call to Action invites potential customers to take part in an offer or service. Essentially, it is the digital way of saying “Here, take my card”. You are not leaving potential customers empty handed, instead you are inviting them to continue with your company. If our social division took time at the start of each day to decide what they are going to post for that day, their routines wouldn’t begin until noon. Scheduling software can remove that task from your day entirely. If possible, set aside time to create content for upcoming weeks. Take into account holidays and occasions that may be coming up and remember to factor those into your posts as well. If you get enough ahead, you could end up creating content for Christmas while it’s 85 degrees out. Don’t worry! That means it’s working! We hope these tips help as you are planning out your brand’s social media presence. To learn more about how our team can help your brand’s social media presence represent your company as best it can, request a quote or call our main office in Tarrytown at (914) 909-5900. We look forward to working with you and your growing business!